When I became a mom, something changed in me that made other women with children “instant friends.” I was able to talk to strangers in Babies ‘R’ Us or Gymboree about their kids, their favorite baby products, pretty much anything and everything involving our kids. There is a sisterhood between women with children that I didn’t know about until I became one. At times it even feels like a sorority of women like the one I was in college. 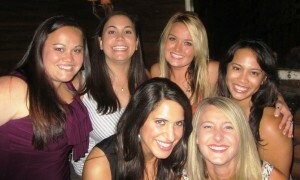 This is a few of my sisters at a birthday party last weekend. You made some respectable points there. I looked on the internet for the issue and found most individuals will go along with along with your website.